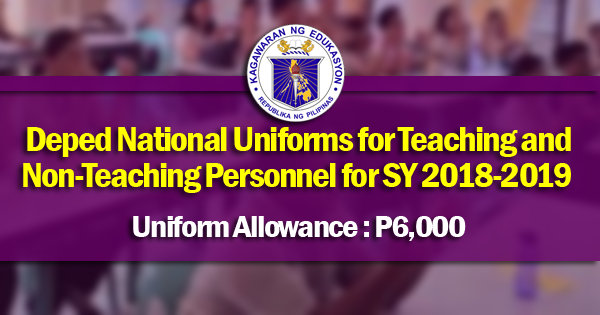 Public school teachers are demanding an explanation from the Department of Education (DepEd) and the Department of Budget and Management (DBM) regarding the delayed release of their 2016 Performance-Based Bonus (PBB). The Teachers’ Dignity Coalition (TDC) said that despite the funding allocation as early as fiscal year 2016, the PBB expected by teachers as incentive for their performance for school year 2016-2017 is supposedly still being processed. 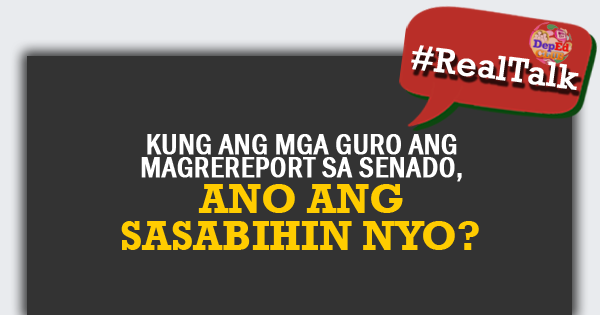 “Teachers are still waiting for this incentive which is mandated by law,” said TDC national chairperson Benjo Basas. “And since this is funded for fiscal year 2016, we believe that there is no reason for the government to further delay its release,” he added. 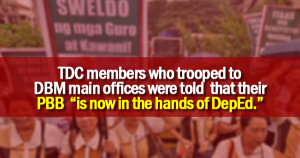 The TDC called on DepEd Secretary Leonor Briones and DBM Secretary Benjamin Diokno to comment on the matter amid swirling speculations within the teaching community. The PBB is an incentive under the Executive Order 80 of 2012 which was further reinforced through Executive Order 201 to recognize the efforts of the agencies and its employees. Meanwhile, solons representing teachers have asked the House of Representatives to “look into the delay” in the release of the PBB for teachers and other non-teaching personnel under the DepEd. 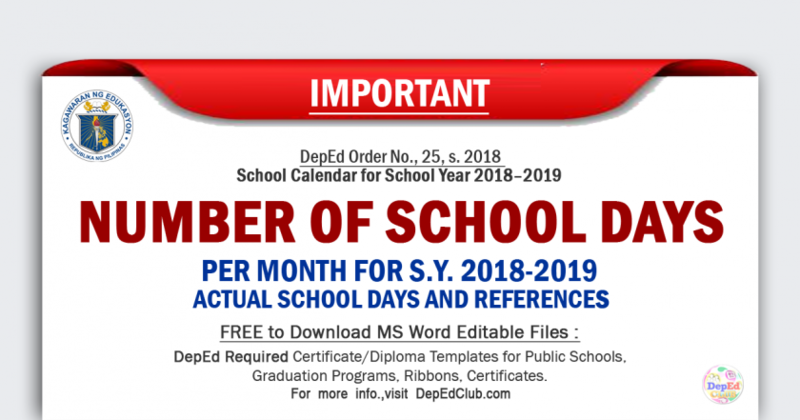 “While employees under other government agencies and instrumentalities have received their PBB for 2016, hundreds of thousands of employees under the DepEd are still waiting for theirs,” the resolution read.